Ion Codrescu teaches art and history of art at the Ovidius University in Constanţa, Romania. In 2007 he received his Ph.D. in Visual Arts from the National University of Arts in Bucharest with a thesis on the Art of Juxtaposing Image and Text in Japanese and Western Haiga Painting. He is the author of 14 books of poetry, haiga and essays. His poems, poetic prose and essays have received many prizes in around the world, and he has illustrated more than 100 books, magazines and journals. 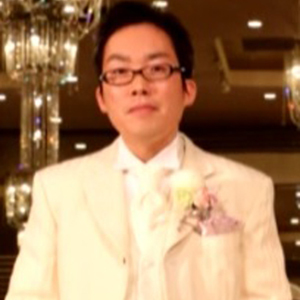 Yūki Itō received his Ph.D. in Literature from Kumamoto University, in 2011, and is currently an editor at an academic publishing house in Tokyo. At age sixteen he began writing haiku, and in 2001 joined the Modern Haiku Association (Tokyo). Publications include New Rising Haiku: The Evolution of Modern Japanese Haiku and the Haiku Persecution Incident (Red Moon Press, 2007), the noted translation series Kaneko Tohta: Four Volumes Series (co-author, Red Moon Press, 2011-2012), and the English-language education textbook Grammar Discovery (Cengage Learning, 2013). Alexander B. Joy is a Ph.D. candidate in Comparative Literature at the University of Massachusetts Amherst. He graduated from the University of New Hampshire with a B.A. in English and Philosophy. He has been writing haiku since 2008. His poetry has appeared in many different journals, including Modern Haiku, Mayfly, Haiku Presence, DailyHaiku and Tinywords. Jim Kacian is editor-in-chief of Haiku in English: The First Hundred Years, the definitive work in the field; and author of more than a score of theoretical and critical articles concerning English-language haiku, as well as a similar number of books of poems, primarily haiku. A professor of English and Environmental Studies at Penn State Altoona, Ian Marshall is the author of four books: Story Line: Exploring the Literature of the Appalachian Trail (1998), Peak Experiences: Walking Meditations on Literature, Nature, and Need (2003), Walden by Haiku (2009), and Border Crossings: Walking the Haiku Path on the International Appalachian Trail (2012). He is a past president of the Association for the Study of Literature and Environment. Ron C. Moss is an artist and poet from Tasmania, Australia, a place of rugged wilderness that inspires his work. He is recognised as an outstanding illustrator and designer of many poetry books, and his achievements in haiku and related genres have been widely published and honoured with awards. Ron is the artist in residence for the online journal A Hundred Gourds and the annual Muttering Thunder. Ellen Peckham has read, published and exhibited in the US, Europe and Latin America. In 2012 the many facets of her work were exhibited at the Dalet Gallery in Philadelphia. 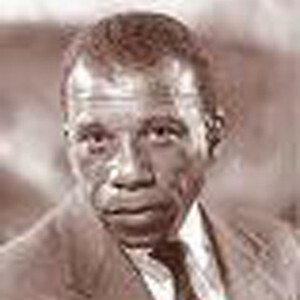 A related illustrated biography, Continuum (in the form of collage) was published at that time. In late 2015 a book of her haiga and related collages will be published by Paper Crown Press. Her archives of drafts, edits and art are collected at the Harry Ransom Center for the Humanities. A 7-minute visual biography, Parallel Vocabularies, is available on DVD and via her website. Alexis Rotella won the grand prize in the 2007 Kusamakura Haiku Contest and traveled to Kumamoto, Japan. Her work is widely anthologized including Haiku Mind: 108 Poems to Cultivate Awareness and Open Your Heart, Beneath a Single Moon and most recently Creative Writing: An Introduction to Poetry and Fiction. She served as president of the Haiku Society of America in 1984, and has edited Frogpond and founded and edited Brussels Sprout and Prune Juice Senryu. Her latest haiku book, Between Waves, will be available in spring 2015. Born in Poland, Lidia Rozmus has lived in the United States since 1980 and works as a graphic designer, teacher, painter, sumi-e and haiga artist and haiku poet. In addition to illustrating dozens of books and chapbooks, Lidia has published five volumes of her own graphic work and poetry and has shown her sumi-e and haiga throughout the US, Poland, Japan and Australia. She is art editor of the journals Modern Haiku and Mayfly. Haruo Shirane is the Shincho Professor of Japanese Literature and Culture in the Department of East Asian Languages and Cultures and Chair of East Asian Languages and Cultures at Columbia University. He received his B.A. and Ph.D. from Columbia University and joined Columbia’s faculty in 1987. In 1996 he was appointed to the Shincho Professorship of Japanese Literature and Culture. In 2010, he was awarded the Ueno Satsuki Memorial Prize on Japanese Culture for his contributions to the study of Japanese culture. He has been cited in The New York Times and featured in such publications as the Simply Haiku Journal. Susumu Takiguchi is a Japanese poet, artist, and essayist. He served as vice-president of the British Haiku Society, in charge of dealing with Japan and liaison with the academic world. In 1998 he founded the World Haiku Club. He has been employed as a financial correspondent with the Nikkei Economic Journal; editor-in-chief, The Art Market Report; art critic and part-time instructor at Oxford University; lecturer at Aston University in Birmingham; executive director of Strategic Planning & Research, Nomura International plc. He is currently director of Ami-Net Oxford International and chairman of the World Haiku Club. Charles Trumbull is retired from editing and publishing positions at the US National Academy of Sciences, Radio Free Europe/Radio Liberty, and Encyclopædia Britannica. A past president of the Haiku Society of America and recipient of its Sora Award for service to the HSA, from 2006 to 2013 he was editor of the journal Modern Haiku. In 2013 – 14 he was Honorary Curator of the American Haiku Archives at the California State Library, and he served as secretary of the New Mexico State Poetry Society in 2013. Jerry Ward, an Honorary Professor at Central China Normal University, is the author of THE KATRINA PAPERS: A Journal of Trauma and Recovery (2008) and The China Lectures (2014). He is co-editor of The Richard Wright Encyclopedia (2008) and the Cambridge History of African American Literature (2011). After retiring from 32 years of teaching at Tougaloo College (1970 – 2002) and 10 years at Dillard University (2002 – 2012), he takes great pleasure in blogging and in writing literary and social essays. 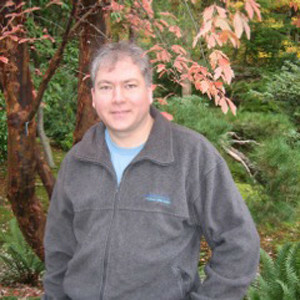 Michael Dylan Welch is the poet laureate of Redmond, Washington. He is a longtime officer of the Haiku Society of America, and co-founded the Haiku North America conference and the American Haiku Archives. He has presented at the American Literature Association, American Literary Translators Association, and Haiku North America, and was keynote speaker for the 2013 Haiku International Association convention. He is contributing editor for Spring: The Journal of the E. E. Cummings Society. He lives with his wife and two children in Sammamish, Washington. Udo Wenzel for more than 20 years has been employed as an IT Expert for business intelligence applications. He has written poems and short stories for 40 years, haiku and related poetry since 2002. His work appears in diverse publications, including anthologies and international haiku journals. 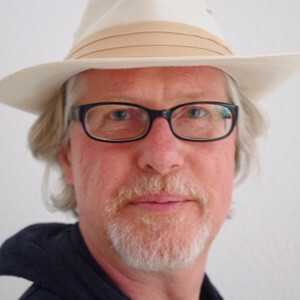 He is the author of Taubenschlag (Wiesenburg-Verlag, 2010) and co-editor (with Rainer Stolz) of the 21st century German haiku-anthology Haiku hier und heute (dtv, 2011). He interviewed various haiku personages and researchers as an editor of the German online-journal Haiku heute.